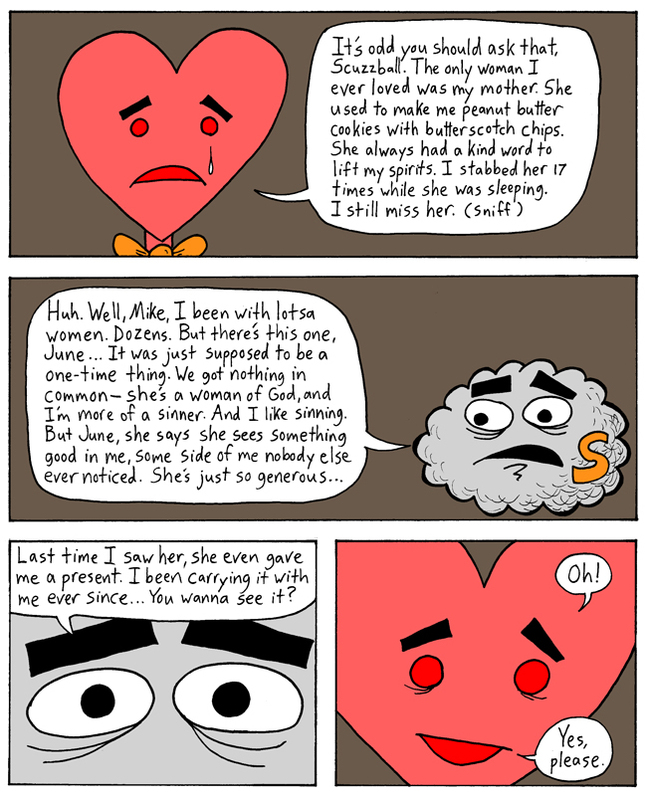 For years Scuzzball and Sister June have had an on-again, off-again relationship, as demonstrated in this comic, which was masterfully illustrated by Mr. D.F. French. Back in the early days of this comic strip, we saw Sister June tell Scuzzball, "What you and I had was tawdry and wrong. And it's over." But we know she didn't really mean it. And, more recently, she told Scuzzball, "You know our love is forbidden." But why is Scuzzball talking about all this? And what was the gift she gave him? Find out next time!